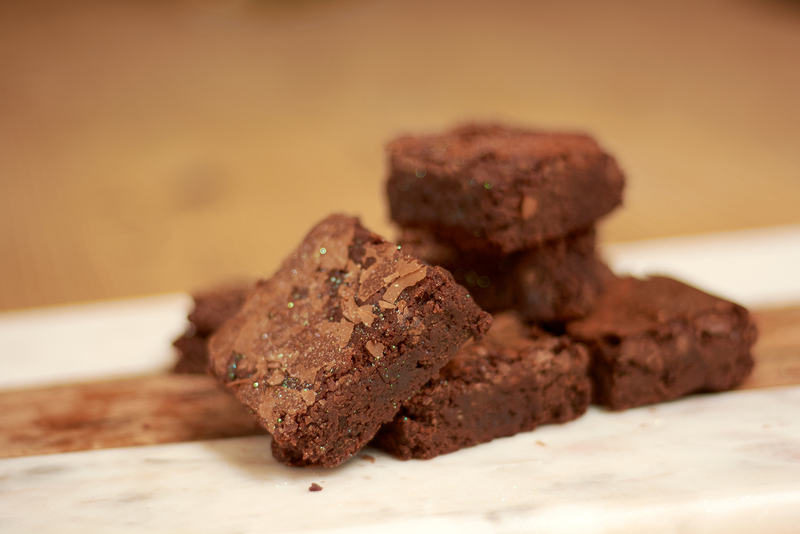 Want to hand pick a selection brownies delivered as a gift? 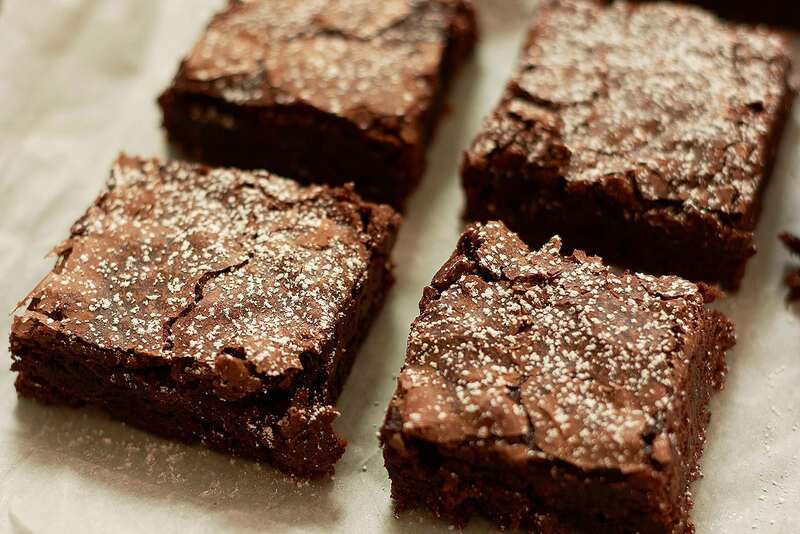 Choose from our entire regular menu to create a truly personalised brownie gift. 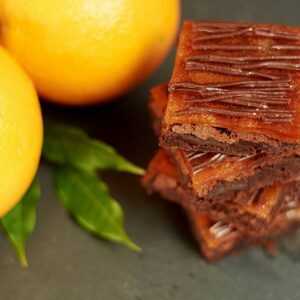 Pick up to 3 flavours for a box of 12 or 6 flavours for a box of 24 – we’ll include a menu card to let the recipient know what’s inside their brownie delivery. Click on a flavour to add it to your gift box, below. If you select a Box of 12 you will need to add 3 flavours. With a Box of 24, 6 flavours need to be added (You can add more than one of the same flavour). Once your box is full you'll be able to add the box to your basket. To remove a selection, simply click on it and select another. We had Cupcakes before ,fabulous.Will we see Boozy Brownies ? 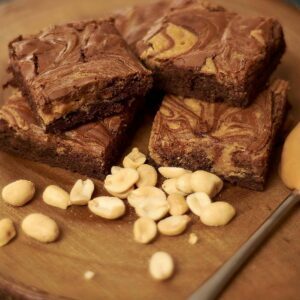 Havn’t had Brownies yet,5 *’s for the photo pics. I received Salted Caramel, Raspberry Riple and Blueberry Cheesecake as a gift…..they were all divine!!!! Ordered the salted caramel, peanut butter, and jaffa cake brownies as a surprise for my boyfriend and they went down a treat! Salted caramel was the winning flavour, but I was really impressed by the peanut butter, which didn’t get lost in the other flavours like it usually does with peanut butter brownies. 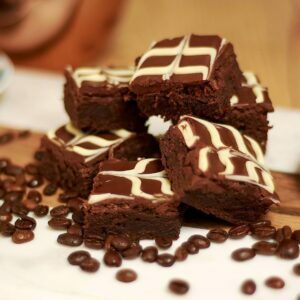 All in all they’re excellent brownies, I wouldn’t hesitate to buy them again – but maybe a box of 24 next time! Really moist, fast delivery and well packaged. Millionaires is a favourite but the whole box didn’t last long. Highly recommended. I sent a mixed box as a gift to a friend. She was totally delighted as were the colleagues that she shared them with. The verdict was totally yummy. Moist, unctuous and totally fabulous. As a proclaimed ‘fake baker’ these delights were totally snapped up and coveted at the charity school cake sale by the parents (and kids) a like! Many parents then logged on for themselves. Super job! My hero Bear Brownies were our star baker by far!!!! The most amazing Brownies EVER!! I had one of each – salted caramel are out of this world. Second helping was warm with thick cream – OMG!!!!! My first order with Bears brownies and they were amazing! Got them delivered to the office, and as you can guess, they did not last a minute! they looked brilliant and tasted even better!! Delicious, beautifully moist and great flavours. Absolutely scrummy brownies, made my brothers very happy. We ordered a large selection box of different brownies for a staff members leaving party, we had always ordered cupcakes before but got the email advertising the new Bear’s Brownies which looked absolutely delicious, we were sold! So glad we went for them, they were truly outstanding. VERY well received in the office! Will definitely order again and will recommend. Thank you so much. 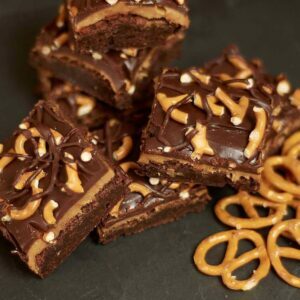 Lovely brownies, we enjoyed the pretzel and funfetti best & they were enjoyed by us all. 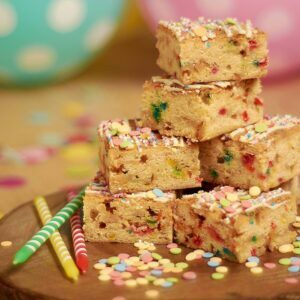 OMG these were the yummiest brownies and came in the cutest box – we had funfetti, peanut butter and chocolate fudge and they were gone within an hour! yummy! Fabulous customer service (I needed to amend my order). The brownies were a gift so sadly I didn’t get to try them myself but was told (through brownie crumbs as they had to try them immediately they arrived) that they were excellent! I purchased Chocolate Fudge, Mocha & Raspberry Ripple for my brownie obsessed other half for valentines day and he absolutely LOVED them! will definitly be ordering more! Positively perfect in every way! Can’t wait for another excuse to order, is the fact it’s Thursday good enough? Pure Heaven!!! I sent a box of peanut butter, chocolate fudge & salted caramel to my daughter at Uni instead of an Easter egg. She was in total foodie heaven, they are the best brownies she has ever had, and believe me she has tried a lot! Will have to order some for myself now! We sent a ‘fill your own’ box to an employee of ours to say thank you for a fantastic piece of work and she was so grateful! she said that they were packaged nicely and tasted delicious. Speedy, reliable delivery & the recipient said they tasted great! I bought these for my husband to take on a golf trip, the guys loved them so much they sent a message asking for more! Delicious cupcakes, really moist and enjoyed by my daughter and all her friends. As always a first class product and service. Delivered promptly and absolutley loved by the recipients….none left for us!! Thank you. Sent brownies as gifts twice now. Although I haven’t had the pleasure of tasting them myself I am reliably informed they were delicious – and a lovely gift to receive in the post! Both times delivered on days requested. Would recommend. This was our second order of a fill your own large box and we weren’t disappointed. They arrived well packaged on the right day and tasted delicious! Having bought sweet treats as gifts from various other places previously, bears brownies are now our go to option as it’s so easy to order! Ordering was very straightforward, the choice of flavours excellent, and the next day /named day delivery a real bonus. They arrived as promised and the recipients loved them – I’m told they definitely lived up to the images! I’m really hoping someone will buy me some…or maybe I should just save up and treat myself! 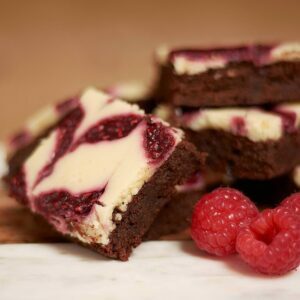 The best brownies I’ve ever tried! So delicious and such quick delivery. Thank you!!! Bought a ‘fill your own’ box of 12 as part of a birthday gift for the girlfriend, she loved them. Packaged very nicely, delivered before 12pm, and tasted amazing. Worth the price. Ordered twice as gifts – unfortunately never consumed them myself. Feedback has been great, especially for the Guinness ones. We received some as a gift recently and they were so delicious that we have since ordered some for some friends. Would definitely recommend and wish I had a box now! They lasted too, although not sure how we didn’t demolish the whole box in one sitting! I order a box for a friend to be delivered to his office and received an excellent service. My friend said his brownies where delicious. Would definatley use Bears Brownies again. We had 6 different types and they were delicious! Favourites were Jaffa and salted caramel. Delivery was great next day as promised and with an ice pack to keep cool. Unfortunately ordered these for someone else so didn’t get to taste them myself, but they looked amazing, the personalised plaque was spot-on and I’ve been told that they tasted incredible. We ordered Salted Caramel, Cookies, Chocolate Fudge and Peanut Butter as a box of 24, and they apparently lasted about 5 minutes before all of them were inhaled, so I’m guessing that they were 5 star brownies. I just wish I’d ordered some for myself too. These were a gift for someone. They went down very well and were apparently delicious. Excellent delivery speed. I am assured this are amazing – sent them to a friend for his birthday. Such a good present idea! My daughter was so pleased to receive a mixture of brownies to share with her friends at boarding school on her birthday. Only one problem – she is asking when we can order some more! Excellent customer service too…. Have ordered bears brownies many times and have always been delighted until this time where due to some errors on your system, my birthday gift to a friend was late! Great service, wanted to get some brownies to a friend quickly as a get well gift and they were delivered in around 24hours! I didn’t get to try any but the pictures looked amazing and they said they were great, they even are then for breakfast one day so must be good! Absolutely loved the browines! The peanut butter ones were insane! I couldn’t be happier with both of my orders. I had to change the delivery address last minute and they were on it straight away. Both receivers loved the brownies. Couldn’t recommend Bears Brownies enough!!! Amazing flavours, even with a box of 24 it was hard to choose the flavours as they all sounded so amazing and the ones we had did not dissapoint. They looked and tasted amazing. Impossible to pick a favourite. They really are amazing and such a luxury treat. I feel sorry for the rest of the brownies in the world. First order on the black Friday deal after eyeing them up for some time! 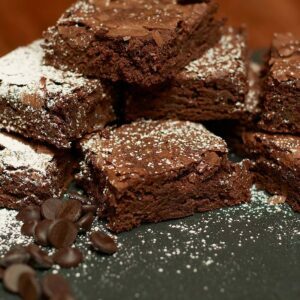 The original chocolate brownies were a amazing!! Definitely recommend. 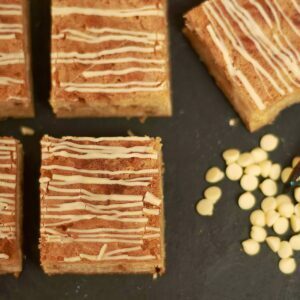 However the blondies were lacking in white chocolate and basically tasted like slightly dry vanilla cake and the Jaffa cake brownies were nice but the orange jelly is quite chewy and gives them a bit of a weird texture! I’d definitely just stick to the original brownies next time. 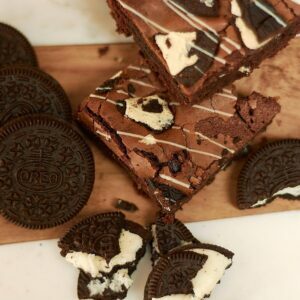 Amazing brownies! Most likely the best I’ve ever tasted! I would recommend the salted caramel and chocolate fudge brownies however the cheesecake and blondes were also delicious! Packaging was nicely presented would be ideal as a present. 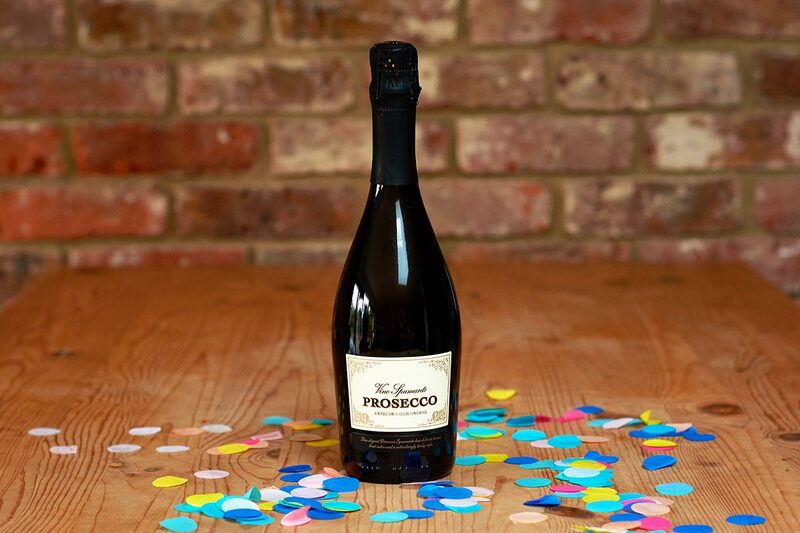 Gave as a new baby present and had rave reviews from the new Mummy & Daddy – just what the doctor ordered and more!! I must say these are the best brownies I have ever had. They look amazing and taste rich and chocolately but they are not sickly. They are very moreish! The packaging is very pretty and professional looking too. I would recommend Bear’s Brownies to anyone! Sent to my clients, they loved them and they arrived when they said they would. Super yummy and happy clients! 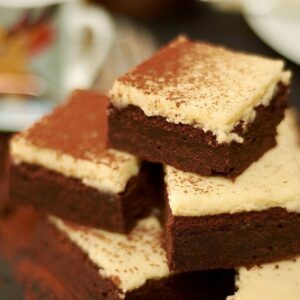 The BEST brownies I’ve ever had (and I’ve tried many brownies in my life time!!). They really were incredible! I bought a box full of caramel brownies, chocolate fudge brownies and cookie brownies to take to my friends engagement party but I only went and forgot to take them into the party… so the next day I ended up eating them all!! (Not great for the xmas diet but SO WORTH IT!!!) They were amazing, especially the salted caramel ones OH MY GOD I could eat 12 of those right now! Highly recommend.. will be ordering again soon for sure! Great service and speedy delivery! They were a gift and the recipient was very happy with them. Would definitely order them again – maybe for myself next time!! Phenomenal! 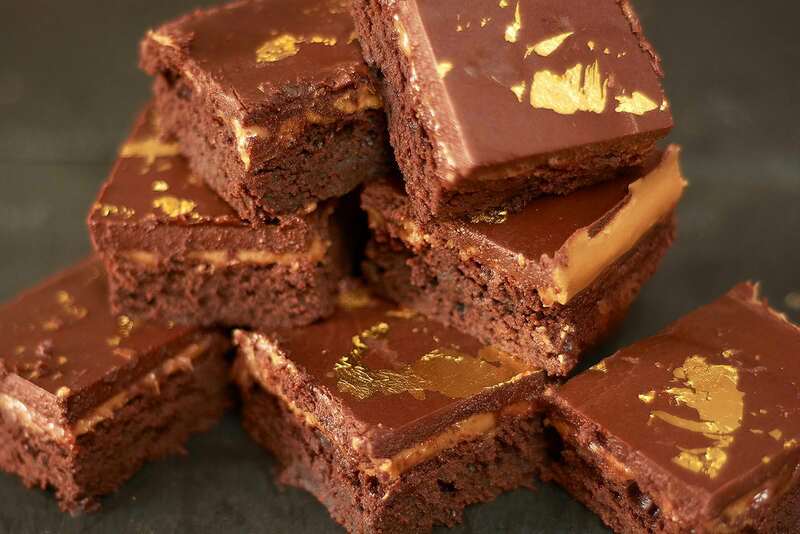 That salted caramel is my favourite brownie, ever! They didn’t last long! But Bear’s were amazing! Absolutely recommend! So pleased, sent a box as a present 🎁 and they were over the moon, they said they tasted amazing, smooth delivery, would definitely recommend. These brownies are the best I have ever had. Salted caramel is my favourite flavour so far! Gorgeous! This was our second time ordering ‘fill your own’. We were delighted with them. Tasted delicious. I sent these over to my boyfriend and his family for Christmas! They were a big hit! Will definitely order again! This is the second time I’ve ordered – and the service and product were excellent on both occasions. I’m definitely saving up to sample them myself! Bought my first try as a box of 12 for a friend’s birthday. The cookies brownie was to die for. Chocolate fudge we fought one another over and the salted caramel was too good to just have over… even to the birthday boy. 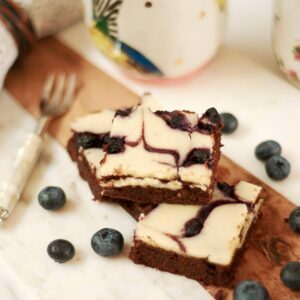 Absolutely gorgeous brownies that leave you feeling satisfied with every bite. Will definitely be ordering again. Gifted these gorgeous brownies for a friends birthday, I opted for the cookies and cream, salted caramel and peanut butter brownies. The order and delivery process was a breeze, I had to make a change in my order and the customer service went above and beyond to make sure I was accommodated, really pleased and will definitely be using again. Brownies themselves went down a treat, beautifully packaged and tasted divine. Really lovely gift for a loved one or yourself! Amazing – ordered them for a friend (salted caramel, chocolate & cookie) and she loved them! Arrived quickly and will definitely be ordering again! A gift for a friend! They loved them! Said they were absolutely yummy!!! After seeing Bear’s advertised on FB and eyeing up the brownies for a long time I took the plunge for our Anniversary and what a wonderful gift it was to my other half. They were absolutely delicious and well presented, delivered on the day I asked for and the hand written note and iced love heart an extra special touch! Will definitely be ordering from here again!